I recently stumbled across this old article about the Dymaxion world map projection invented by Buckminster Fuller (and therefore also known as the Fuller Projection Map). It is supposedly the “first two-dimensional map of the entire surface of Earth that reveals our planet as one, without inaccurately distorting or splitting up the land”. You can buy a poster of it here. 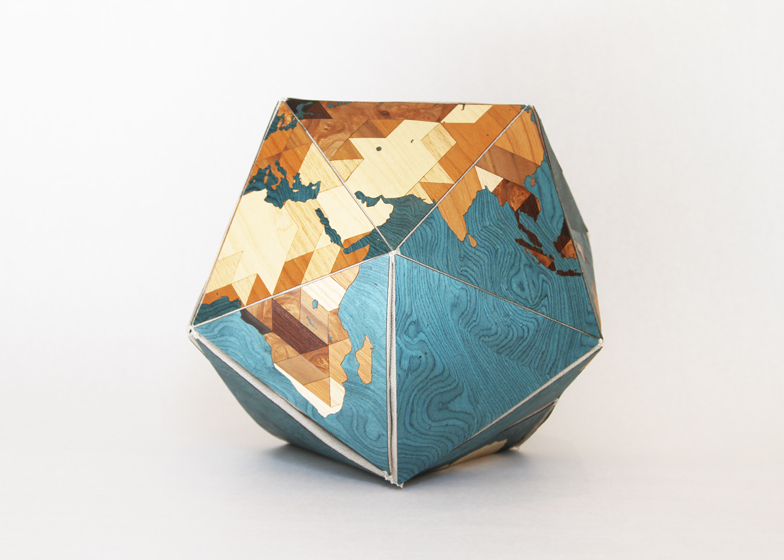 A team made up of artist Nicole Santucci and San Francisco-based firm Wood Cut Maps won the Dymax Redux prize to best show off this unique map projection on the 70th anniversary of its invention. 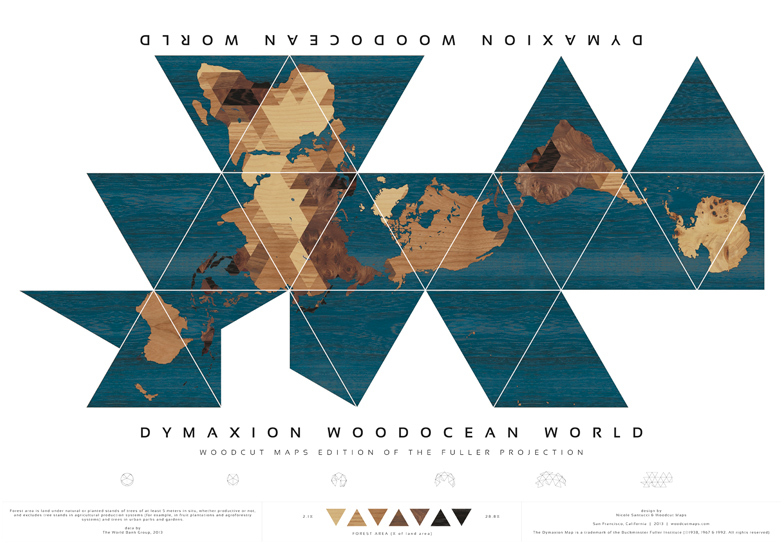 Their entry, Dymaxion Woodocean World, can be shown in the photos above and below. It shows the density of woodland throughout the world by using different colours of wood. 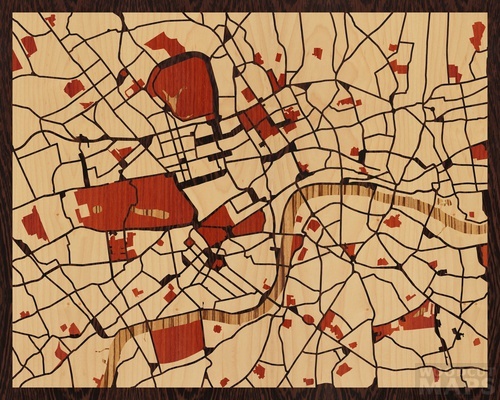 I was intrigued by the concept, and realised that Woodcut Maps offer custom maps for sale! You can pick a spot on the map, have the site automatically create a rendered image suitable for manufacture, then have a woodcut map made of your selected spot. See my creation below based on the marvellous city that is London. This entry was posted in Uncategorized and tagged art, Cartography, Design, map, product design on 27/11/2018 by davidjohnkaye. What does a Business Designer do? Who offers Business Design services to their clients? How can I learn Business Design? You can study an MBA with a major in Business Design at the Rotman School of Management at the University of Toronto. The Stanford Hasso Plattner Institute of Design, or “the d.school“, seems to be a renowned institution for the discipline. This makes sense, as David Kelley, one of IDEO’s founders, founded the d.school as well! 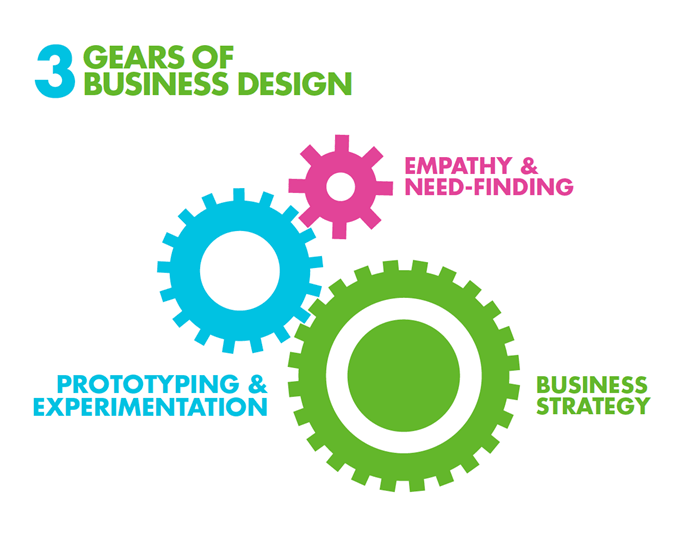 IDEO offers a lot of related short courses through their IDEO U website, but Designing a Business hits the nail on the head! How can I become a Business Designer? A lot of job ads state that MBAs are a “huge plus”, but in reality, it seems to me that they are pretty much a pre-requisite. 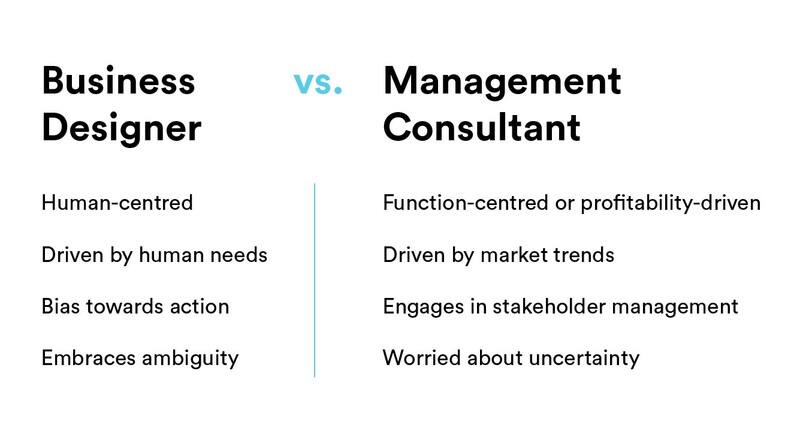 In some ways, this makes sense, as a holistic view of a business is crucial to designing a good one! However, it does exclude the autodidacts among us. Entrepreneurship experience is highly valued, as entrepreneurs have lived and breathed the design, prototype, and test cycle. There’s further discussion of the role and what companies are looking for in a potential recruit on this post from an ex-IDEO Business Designer and the previously mentioned in-depth post from Tsukasa Tanimoto, a Service & Business Designer at Spotless. This entry was posted in Uncategorized and tagged business design, IDEO, innovation, product design, startups on 06/11/2018 by davidjohnkaye. There’s a great post on IDEO‘s website on a topic that is fascinating to me: How to Prototype A New Business (from their Creative Confidence series). The post is based around an interview (audio below) with Joe Gerber, the MD of IDEO CoLab, which is “a collaborative R&D Lab exploring emerging technologies and its future impact”. 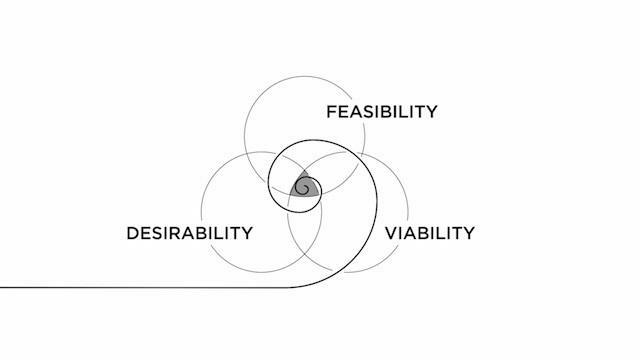 Among some of the useful points, there is a nice lens that can be used to assess new businesses: Viability, Feasibility, and Desirability. Prototyping is a key part of the Design Thinking process and this podcast shows how important it is in Business Design. This is because the hardest thing to predict is the desirability, so you have to test this empirically. In the podcast, Joe goes into great detail about how you can do this by trying to sell the concept as if it were already a product to see if there is genuine customer appetite (he refers to setting up a “lemonade stand”). 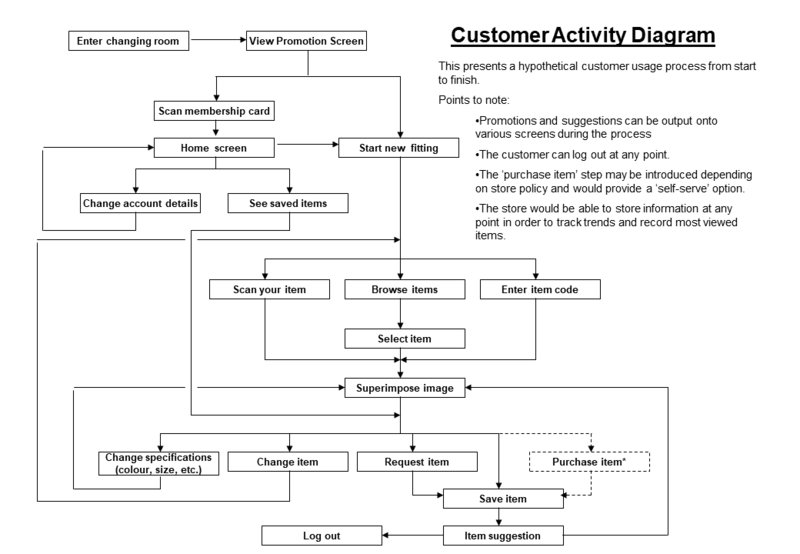 There are some amazing resources linked on there such as Tom Hulme’s Business Model Canvas and a list of Prototyping Tools that can be used (both physical and digital). This entry was posted in Uncategorized and tagged business design, business idea, Design, experiment, IDEO, innovation, product design, product strategy, startups, tech on 05/11/2018 by davidjohnkaye. During the final year (2007-08) of my Physics degree at Imperial College, we studied a module called Research Interfaces (RI). This was a team-based module that focussed on transforming scientific research into commercial business propositions. This was a highlight of the degree for me: I loved the collaborative nature of it and the entrepreneurial challenge was much more aligned with how I wanted to live my future life. Our team designed a product with the working name of MirrorMirror. It was a booth containing a network of cameras with a central computer that would stitch together the images to create a 3D scan model of the user’s body. This would then be used to generate an avatar that would help them choose clothes that fit and suit them perfectly when shopping online. Additionally, they could see their body on a screen in real time with different clothing options projected over the image as if they were wearing it (so-called “Augmented Reality”). This reminded us of the magic mirror from the Disney film, Snow White (hence the name MirrorMirror). There could also be other uses like tracking weight loss for dieters and muscle gain for bodybuilders (if a new scan was made regularly to show the incremental changes) or the visualisation of the results of cosmetic surgery. We produced several outputs for the class including this Technical Design Review. In that document, we estimated the cost to build the prototype of £1.45m, a total future manufacturing cost per booth of £13,900, and a price point of £50,000. This is exceptionally high and I believe it is a result of the fact that we were not actually required by the course to do any prototyping work. If we had, I think we would have focused on looking for a cheaper way to execute the plan. Our original design required a screen behind a half-silvered mirror. I think in 2018 this would not be required as screens are not of incredible quality and image processing technology has come on exponentially in the last decade. We believed that there are many high-end lucrative markets (such as wedding dresses, evening wear and saris) where a quicker and less stressful garment trial process would greatly add to the shopping experience. Our team also saw the potential for future uses such as generating an accurate avatar of the person that can be used as a little virtual model for the clothes that are being selected. Imagine being email a picture of yourself wearing the latest items from your favourite designer and a link to buy exactly the right size for you? We envisioned that booths could be installed in shopping centres, allowing customers to create a 3D image of themselves which they could then use to shop online. Additional lucrative applications could also include high-fashion hairdressing. You can see the basic financial model we generated here: MirrorMirror Costing. When I say we, it was actually me that had the responsibility for putting it together and I could have circulated the draft to my team-mates before the deadline so we could have had more eyes on it before submission. We got our lowest grade by far for this part of the module, so I did feel a bit guilty! However, it was apparently the same for all the other teams, so my guilt was slightly assuaged. No marketing and sales budget included at all! It is quite satisfying to look at old work such as this and compare it with what I have learned since then! At the end of the 3-month module, we had to deliver a pitch to a packed auditorium and a simulated panel of investors (made up by the professors from the Business and Physics department that ran the course). You can see our final pitch document here. This was a really enjoyable part of the course. I delivered it with 2 other teammates and we got everyone in the team up on stage for the Q&A at the end. We actually won the Elevator Pitch Prize at the end of the module which was a very personally satisfying way to end the project. We all received a good first for the course (>85%) which was very satisfying for all of us. We entered into the wider university’s Business Challenge entrepreneurship competition, but we didn’t get past the initial screening phase. As a result, we all agreed to disband the project outside of the RI module and did not take it any further. It is quite telling that we didn’t build a prototype!!! The reason that we didn’t build anything is that we didn’t have anyone that is super-focused on the tech side i.e. that could be a CTO. I also believe it is because we all saw this as a purely academic exercise and not as a true opportunity to start an entrepreneurial endeavour and make a return with it. This tinkering on a prototype would have actually helped us see the true costs, challenges around manufacturing, and gaps in the business model. 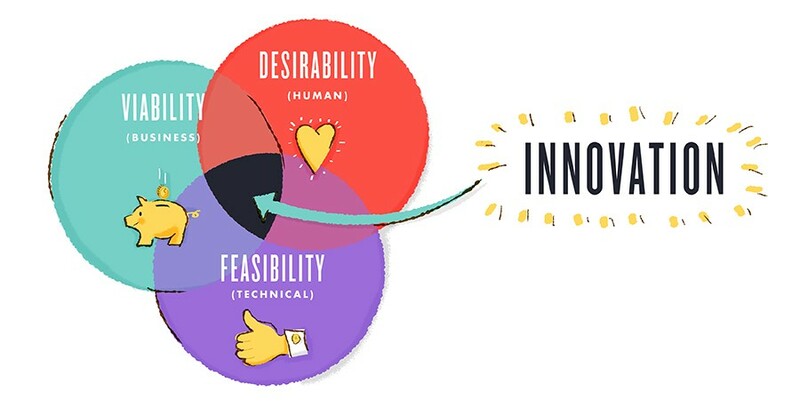 In fact, IDEO’s Design Thinking methodology (diagram below) expressly integrates prototyping as part of the design process. This project was perfect evidence of why that is the case. I wonder if the Blackett lab requires the students on the RI course to build a prototype as part of the course nowadays? This entry was posted in Uncategorized and tagged 3D scanning, Amazon, Augmented Reality, business idea, Connected Devices, Design, Design Thinking, electronics, hackathon, hardware, IDEO, innovation, Internet of Things, pitch, product design, product strategy, sensor, smart technology, startups, tech on 25/10/2018 by davidjohnkaye. 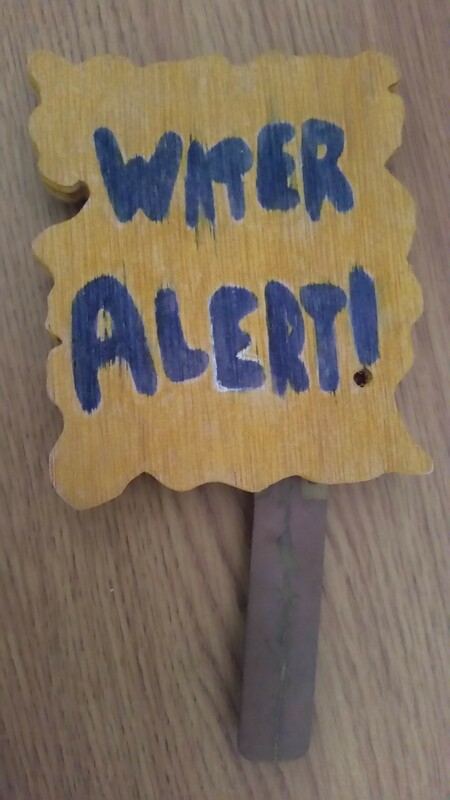 Back when I was 15 years old, I won a Design Technology – Systems & Control prize at my school for my work on the design process around this little product I came up with called Water Alert (see photo, left). It was a moisture detection probe that was designed to be inserted into the soil of a pot plant and provide feedback to the gardener about when it needed to be watered. The end result that I manufactured wasn’t high quality as you can see (! ), but I remember really enjoying the design process and that enthusiasm, combined with my corresponding diligence preparing the documentation, won me the prize. Nowadays, you can buy something virtually identical as a toy kit for kids to build themselves. It’s called the Thirsty Plant Kit (see photo, right). This got me thinking about how I could win a school prize >15 years ago with something so simple as the design for a toy with a circuit that only has 2 transistors. What sort of amazing school projects can kids build in the age of 3D printing, Arduino, littleBits, Raspberry Pi, and the multitude of online resources and guides? This entry was posted in Uncategorized and tagged business idea, Design, Education, electronics, innovation, Makers, product design, product strategy, sensor, tech on 23/10/2018 by davidjohnkaye. I believe Elon Musk’s superpower is urgency. His dreams, such as landing on Mars and having a civilisation powered by renewable energy, are arguably shared by many other people, but the difference is that he is deeply committed to making it happen NOW. That’s why he thinks he can get man to Mars and can do it in a time frame that allows him to blow away the competition. His urgency creates a creative edge and causes his famously mad work ethic. Tony Robbins says urgency is a result of creating the vision of a compelling future. Elon Musk has this technique nailed. This old article calculated that Elon on average achieves in 1 year what it takes most people to do several years. In the article, it also focuses on his desire to build things that have an order of magnitude better performance (for example, increasing the speed of the Boring Company’s tunnel boring machines by 14x compared to the standard speed). However, now some shareholders and analysts are sarcastically referring to his several delays and missed deadlines at Tesla as “Elon Time”. Part of this is caused by his dedication to redesigning everything from first principles, even down to the details of the production line and the bespoke software tools used at Tesla. People are speculating whether he can turn things around before Tesla runs out of the ability to continually raise capital. I think that his relentless dedication to urgency will win out. This entry was posted in Uncategorized and tagged Elon Musk, innovation, Leadership, personal development, product design on 23/10/2018 by davidjohnkaye. Today I found an amazing little app courtesy of Mike Sutton. The app is called Radio Garden. 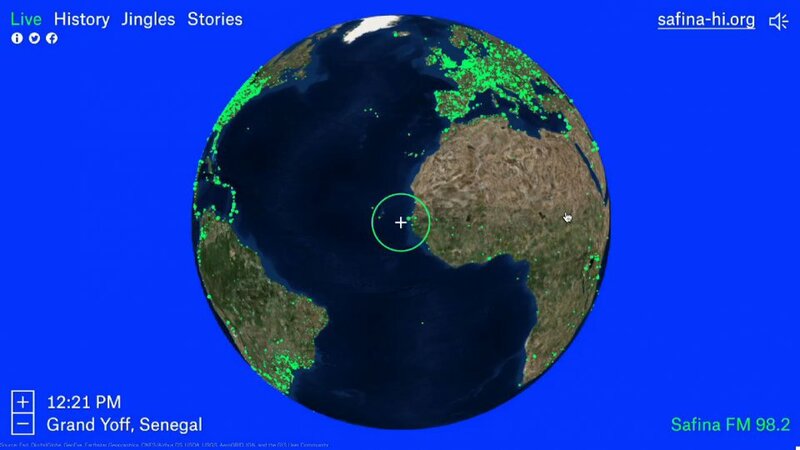 Radio Garden shows a 3D model of the globe with green dots representing all the radio stations in that place, which you can then click to pick a station to listen to. It is a project from Studio Puckey, an “experimental interactive design practice” based in Amsterdam, the Netherlands. Radio Garden is the confluence of three of my main interests: maps, music, and travel. I love that you can instantly learn about a place that interests you by scrolling to the location and listening to the different radio stations there. It is literally a meeting point for all of the world’s voices. For example, today I have listened to: a Malian dance station, Gambian pop, and a Scots Gaelic talk show from Stornoway in the Hebrides. How amazing is that? My biggest concern is whether Studio Puckey can they monetise it in order to keep it alive for the future. Could they get referral revenues for driving traffic to sites? Offer merchandise or ticket sales via the app? Perhaps just some simple adverts that are shown in a way that doesn’t adversely affect the user experience? Whatever the route forward, I hope they figure out a way to make it financially sustainable to operate in the long term. This entry was posted in Uncategorized and tagged 3D, app, Design, map, music, product design, radio, travel, user experience, user interface on 17/07/2018 by davidjohnkaye. I’ve often wondered what would be the impact on companies in Silicon Valley when the inevitable earthquake hits. Turns out I’m not the only one. The Bay Area is subject to major earthquakes roughly every 145 ± 60 years at the current rate. Given that it is 150 years since the Great San Francisco Earthquake of 1868, the next “big one” could happen any day now. Apparently, about 2 million people live on the Hayward Fault and 7 million are in the surrounding area. A magnitude 7 quake would cause damage in the range of $95 to $190 billion, which would be a disaster for the citizens of the area. However, my curiosity centers on what would be the impact on the giant tech corporations that are based in Silicon Valley and the wider Bay Area? Companies like Google, Facebook, Oracle, and Salesforce have their HQs and major footprints in the region, so they will be adversely affected by a natural disaster. It doesn’t seem like they are particularly well-prepared for such an event, according to this report. Although most of the companies have data centers and operations distributed around the world, an earthquake could still cause potential disruption to the main office and therefore the leadership of the business. As listed entities, this marks a real risk for their shareholders. Could their share prices or even the whole NASDAQ take a tumble if a major earthquake hits the Bay Area? After the 9/11 terror attacks, the Dow dropped by 14%, so this is not unthinkable. However, I think the impact goes beyond just their own businesses. The services provided by these tech titans represent critical infrastructure for many European and American businesses, so any disruption could have a huge wider impact. Scientists are getting better at detecting earthquakes early. In Silicon Valley, there will soon be an app called QuakeAlert that can give up to 2-20 seconds of warning of an impending earthquake. This might not sound like much, but even 2 seconds can be long enough for Internet of Things (IoT)-enabled devices to perform vital preparations such as: opening the doors of fire stations to prevent fire engines getting stuck; isolating certain parts of the electricity, water, and gas networks; slow down trains; and tell elevators to open their doors at the closest floor. Could it be possible to set up a network of seismic sensors to warn when an earthquake was just about to hit the Bay Area and then send an order to a trading algorithm that could short the NASDAQ? A similar system could be used to create an early warning for tsunamis. One candidate is the mega-tsunami that geologists once predicted could be created by a volcanic eruption in the Canary Islands which would devastate the northeastern US coast (although further review of the original study showed that this is a worst-case scenario and probably will not happen for another 10,000 years at the earliest). This entry was posted in Uncategorized and tagged business idea, electronics, hardware, Internet of Things, product design, sensor, Silicon Valley, tech on 08/07/2018 by davidjohnkaye. Is it just me that really likes the rollbar/rollerbar user interface on the ticket machines on the French metro? I think it is an elegant example of good UI design, as it is both a satisfying shape and very well suited to the simplicity of the task at hand. This entry was posted in Uncategorized and tagged Design, hardware, product design, tech, UI on 05/07/2018 by davidjohnkaye.